Settlement negotiations are typically handled in writing. As the injured victim, you usually kick things off by writing a demand letter in which you state how much money you need to settle your claim. There is a definite art to writing demand letters, yet there is surprisingly little information online about how to write one effectively. Because our personal injury lawyers have handled hundreds of cases, we are well versed in demand letters, so we offer these five tips for making yours as good as possible. Someone who has been negligent owes victims compensation to cover their losses. An effective demand letter should explain how the accident happened and who is to blame. At 12:30 pm on August 12, 2018, I had just parked my car and was walking toward your store when my foot went into a pothole. As my momentum carried me forward, I twisted my ankle and heard something snap loudly. Pain suddenly filled my body, and I cried out for someone to help me since I did not have a phone on me. There was no sign in the parking lot warning me that there was a pothole, so I had no idea to look for one. In this example, you have explained how the accident unfolded and pointed out who is to blame—the person who controls the parking lot who didn’t fill in the pothole or give pedestrians a warning. 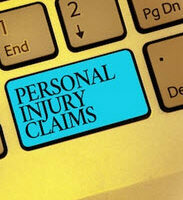 The seriousness of your injuries will in large part determine how much compensation you can receive. Explain your medical treatment in adequate detail. Don’t just say, “I received medical care.” Instead, you can explain that an ambulance picked you up to take you to the hospital where you had tests and ultimate had your broken bone set in a cast. You will also want to break out how much your medical care cost, so gather all medical bills and receipts for prescription drugs and assistive devices. You can receive compensation for amorphous losses like pain and suffering and emotional distress caused by your injuries. Be as detailed as possible to make this suffering vivid. For example, you might only have been able to sleep for 4 hours a night because of pain, or you have had to take antidepressants to deal with the emotional fallout from the accident. Negotiating with a large Florida insurer is never easy. To give yourself the best chance of success, contact Bundza & Rodriguez today. Our Volusia County personal injury attorneys have received favorable settlements for hundreds of clients, and we want to work with you, too. Call 386-252-5170 to schedule your free consultation.